I don’t actually like chickpeas. Or hummus. 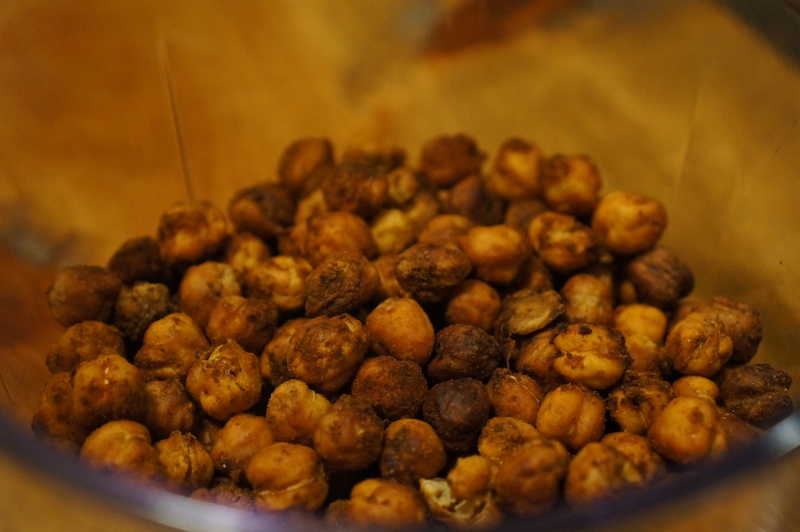 Or anything that is really very mushy, but Hewitt (and most of the world) loves chickpeas and hummus, so I decided to make roasted chickpeas for him. I wanted an excuse to try this recipe. 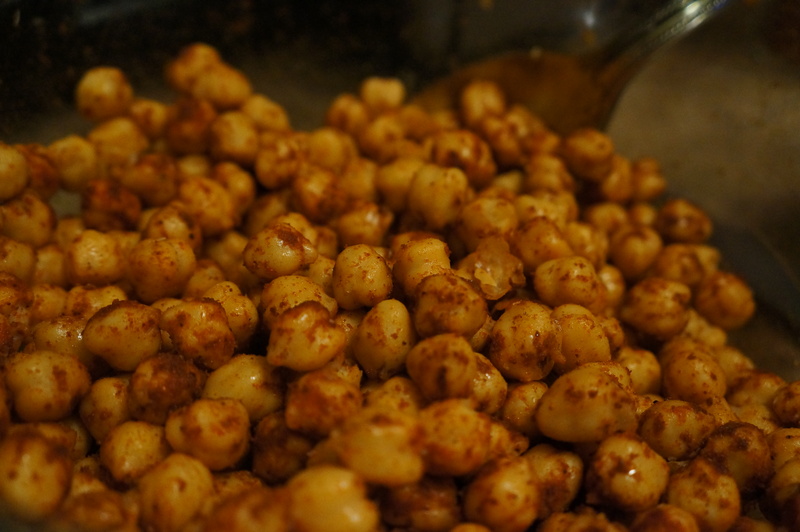 I found the recipe on the Food Network and with little knowledge of what makes chickpea goodness, selected it because it was spicy. I followed it to a T, basically. I added a generous shake or five of cayenne pepper and another five shakes of chili powder. And I baked them for 30 minutes, “let them rest” for 15 minutes and baked them for another 20 minutes, and then they were actually crunchy.